Ultimate Ears (owned by Logitech) makes a great-sounding, sleek-lookin’ Bluetooth speaker: the UE Boom 2, now in its second generation. 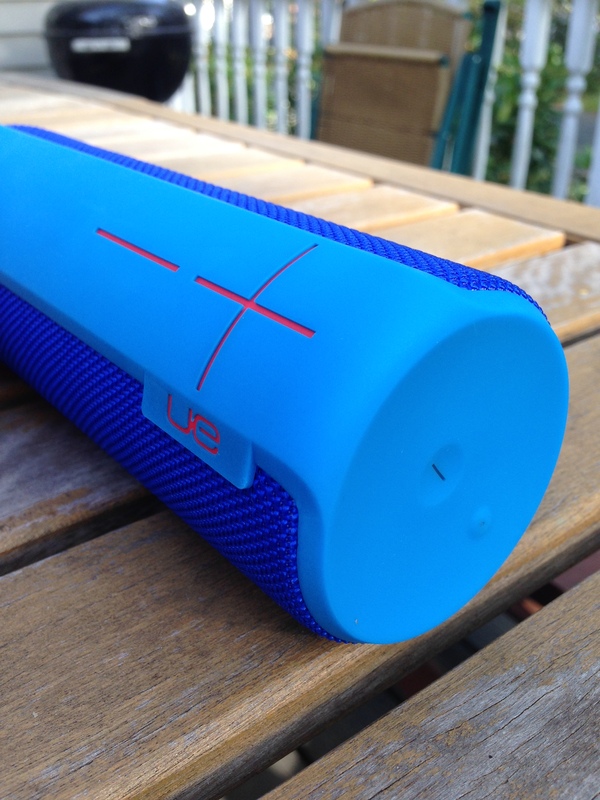 The Boom 2 has great sound, even with flat EQ. The bass is nice and clear. At a price point of just under $200, you’d expect decent sound, and this speaker does not disappoint in that regard. I didn’t measure decibels, but it can fill a whole floor of a house with music, despite its being barely taller than seven inches. Podcasts and NPR both sound great on the Boom. The battery lasts for ages (officially rated at 15 hours), and the speaker turns itself off after a period of inactivity–which you know because a cool, little drum riff sound indicates that the speaker is powering down. Nice touch! One down side is that the speaker won’t play when the battery is depleted, even when it’s plugged in and first charging. I found this counter-intuitive and frustrating–in other words, if you use the battery long enough, you won’t be able to listen and charge at the same time, at least not right away. It seems also to be a design flaw that the charger port is on the bottom of the speaker. The cord protrudes such that you have to flip the speaker upside-down to keep it upright when it’s charging. This doesn’t, from what I could tell, affect the sound, however. Once you do charge it, it’s back to full power in just a couple hours. Initial pairing between speaker and Bluetooth-enabled device (phone, tablet, computer) is a breeze. The tech specs for the Boom 2 say the mobile range (for maintaining the Bluetooth connection between speaker and device) is 100 feet. That was not even close to my experience–even on one floor of a house with no shut doors, at 50 feet I would occasionally notice the stream starting to cut out. If you forget your phone is connected to the speakers and you walk out of range, there is an auto-stop feature so that you don’t lose your place in the album you’re listening too. I found this really handy. The Bluetooth connection gets a little dicier if you’ve connected more than two devices to the speaker (i.e., ever). 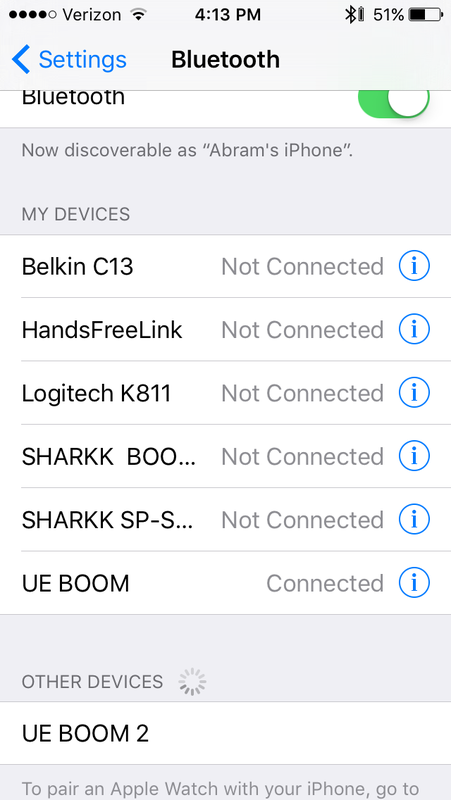 For the most part, though, the Bluetooth pairing process works well. 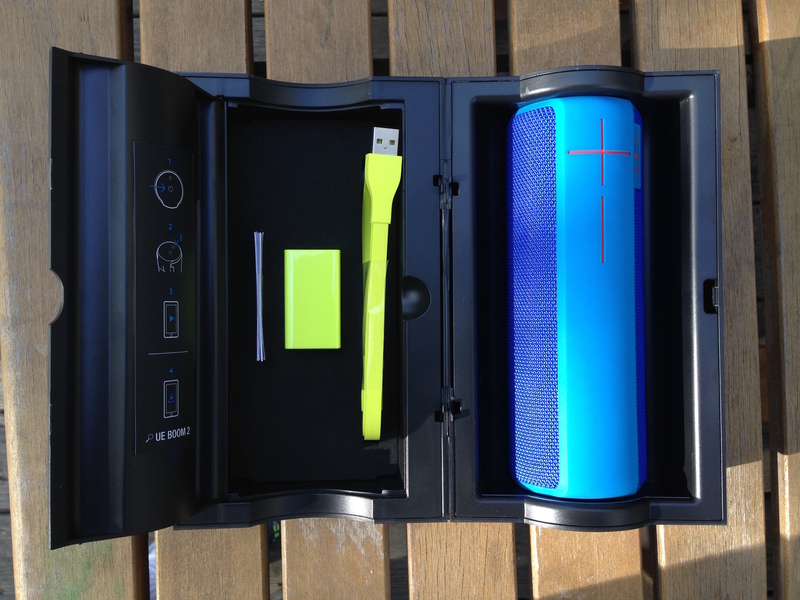 There is an accompanying UE Boom app–it’s simple, but it greatly enhances the user experience. 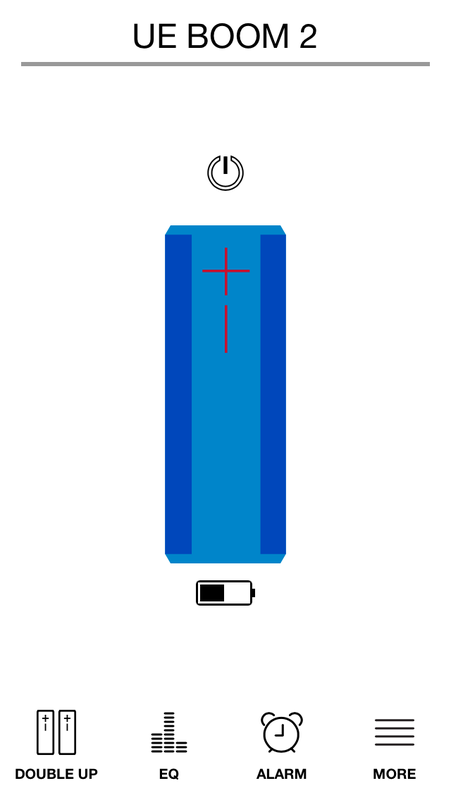 You can see a speaker battery life icon on your phone, right next to your phone battery percentage indicator. And you can use the app to power off (and on!) the speaker. This wowed me. The app also has EQ settings you can adjust. You can use this bad boy as a speaker phone, though trying to use Siri or place phone calls in conjunction with the speaker is pretty frustrating, unless you happen to be right next to the speaker. 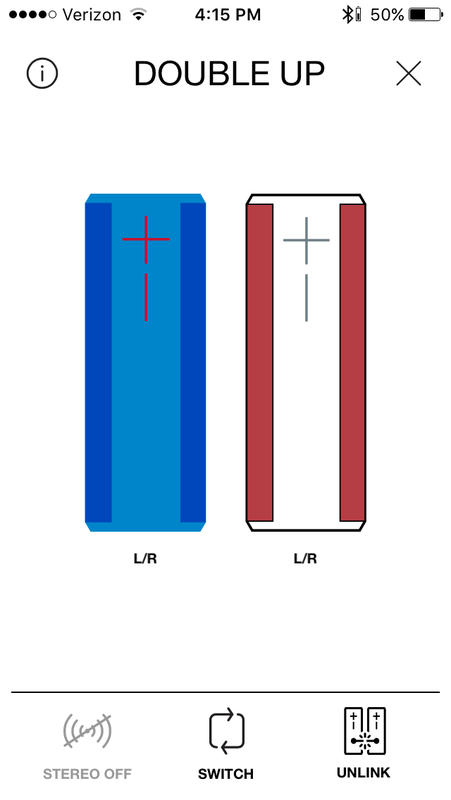 Perhaps the coolest feature is that you can “Double Up” to link two UE Boom speakers to each other via Bluetooth. This is beyond cool, and I set it up (with little effort required) the second I figured out you could do it–I listened in (loud) surround sound. The UE Boom 2 is maybe a little pricey, and it’s not without its downsides, but all in all you get your dollar’s worth. Especially impressive are the Boom’s high portability, accompanying app, general ease of use, and good sound quality. You can find the UE Boom 2 at Amazon, or at the Ultimate Ears site. Thanks to the good folks at UE/Logitech for sending me the Boom 2 (and, previously, Boom 1) for the purposes of the review. Their kindness in sending the samples did not, as you can probably tell, keep me from honest and objective assessment in my review. Hey! 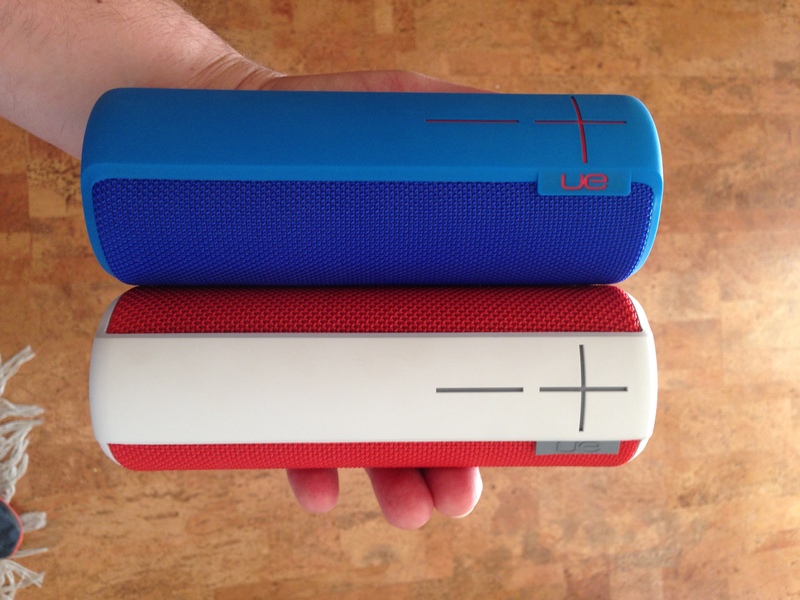 Love your review; I actually purchased and reviewed the UE Boom 2 myself, I have to say I am really impressed with the build quality and sound output!